Home / Batavia / CM / Education / entrepreneurship zone / GCC / News / GCC's Entrepreneurship Zone seeks enterprising individuals! GCC's Entrepreneurship Zone seeks enterprising individuals! 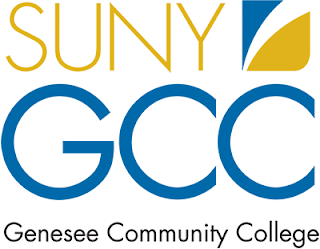 BATAVIA, N.Y. -- The Business and Commerce department at Genesee Community College has announced its sixth Creativity Conference to be held Wednesday, November 14, 2018 at the Batavia Campus. Under the theme of "Creativity in the Entrepreneurial Zone", the conference this year will serve both aspiring entrepreneurs as well as existing business owners looking to take their business to the next level. All attendees will have the opportunity to learn from the experiences of our community's' leaders through the stories of their own startups and ventures. The conference will include workshops on "How to use Social Media to Grow your Business", "Building Creative Teams", "Developing a Creative Organization", "Personal & Organizational Impact of Creative Style" and more! GCC has collaborated with the Startup Genesee Committee to put together an agenda full of learning and networking opportunities, inspirational stories and education. Giving the keynote address will be owner of VSP Graphic Group from Buffalo, Trace R. George, GCC class of 1993. Small business owners or employees, entrepreneurs and the general public are invited to attend the conference and workshops. The cost is $39 per person which includes a continental breakfast and delicious lunch. For GCC students, faculty and staff, the conference cost is $25 per person. Seating is limited, so register today! GCC faculty and staff are encouraged to contact The BEST Center to register. Students are asked to register through their instructors. Whether you are launching a new endeavor to taking your successful business to a bigger platform - Let GCC be a resource for your idea and your path to success! GCC offers both an associate degree and a certificate program on Entrepreneurship. Check out the options at https://www.genesee.edu/academics/programs/business/entrepreneurship/. For more information, contact Director of Business Programs Lina LaMattina at (585) 343-0055 ext. 6319, or via email: lmlamattina@genesee.edu.